Please put a search button!!!! God I love this app, it just sometimes I want to search for a certain lock screen and to scroll thru so many beautiful lock screen can be overwhelming. Please put a search button. Very encouraging wallpapers but I keep losing my favorites. It's a bit annoying given there are so many choices. This is just amazing. Amazing. I absoultely love this app!! The quality of the images is excellent and the huge selection let's me change up my wallpaper as much as I want! I do declare this is one mighty fine app! Boy I tell ya! You can get lost in this app!!! 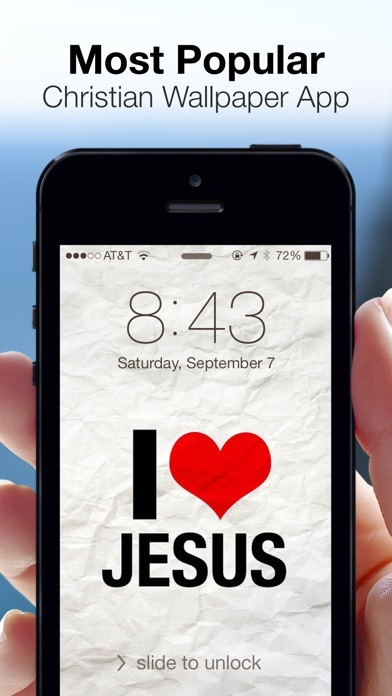 I downloaded this to find a John 3:16 lock screen. As I have searched for it I have found so many awesome wallpapers and lock screens that I may just set my lockscreen on random and let it automatically switch every time I open it because it's hard to just like one lol. I like to change my wallpaper frequently and this app gives many selections to choose from. One can never have enough positivity in their life. I also like the FB covers. Thought each day I would get a new screensaver or wallpaper. Unfortunately. I have to go to the app and manually look at them. B Very disappointing. Not what I expected. while the updates lasted. We haven't had new material in over a year. 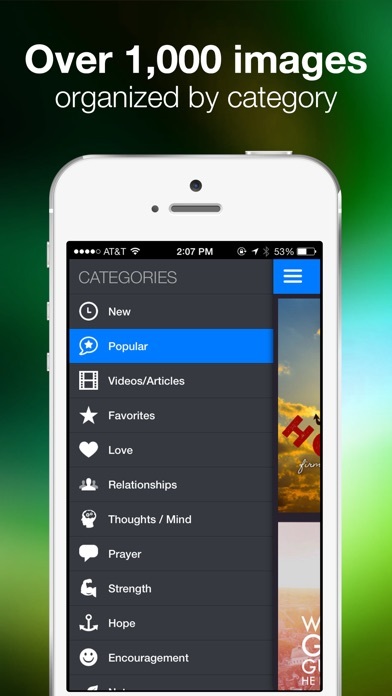 You call tell the driving force behind this app is love. Well done! Best app on the App Store! This is the best ever! It has so many wallpapers that will inspire you whenever you look at your device. It encourages you. 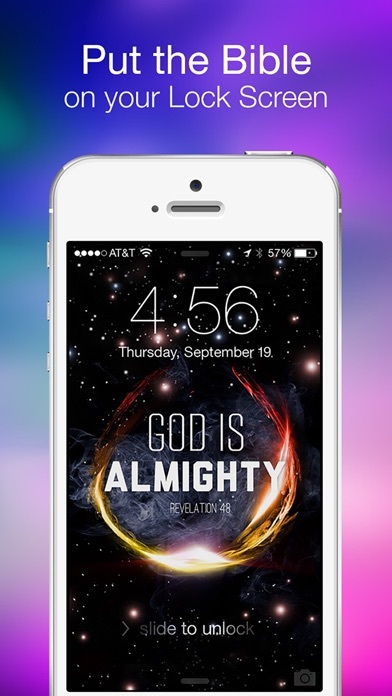 Amazing app filled with so many amazing wallpapers to remind you of the Lord each and everyday! I bought this app a while ago and I have to say I was impressed at first but now I'm not. I'm actually a little irritated because in the 'new' section I keep seeing old wallpapers? Like they're not new at all? I don't really feel like I got my money's worth when I purchased this app. I just downloaded this app, and it is just truly phenomenal. 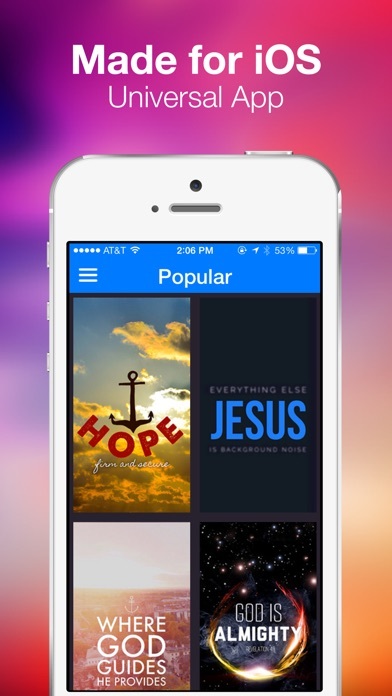 It it extremely great and easy to work with and is just truly an amazing app. Keep up the good work on spreading God's word! I recently was looking for an inspiring app. This app is perfect! A ton of scriptures and great designs behind them! I used to search Google, but they didn't fit my screen. I'm so happy that I bought the app! I'm so in love with this app! I bought it about 2 years ago and I haven't been disappointed once. It's so nice to have Bible verses to uplift you during the day. God bless! This app is SO encouraging! So many awesome wallpapers to choose from! Highly recommended! You'd have to be a moron to give this app a bad review. Awesome and great price. FREE. This is an awesome app!!! This is an awesome app! It helps me with my walk with God. Even though its a wallpaper it lifts me up! Get this app!!! It is worth it!!!! These are gorgeous lock screens with inspirational words from the mouth of God Himself to help motivate you through the day when you look at your phone. It can help you with memorization as well. My only suggestion is to make this app optimized for iPhone 6 and especially 6 Plus. These lock screens would look STUNNING on that 1080p screen. Thank you so much Ryan for all you do! I love this app! It's amazing and inspirational. Whenever I am feeling distraught or uneasy, I turn to this app for comfort. God is always good! I absolutely love this app! Very encouraging posts and there is always something different and it's so much to choose from! Keep up the great work!!! I paid for this app and it will not let me save or use any of the wallpapers. Very disappointed. It's so awesome to have an app that just has encouraging messages. My only problem is that it doesn't load anything /: wish this could be fixed. I love this app so much, the countless bible verses make it hard to choose one lol! All the bible verses and words of encouragements give me hope throughout the day. It's so helpful how it reminds me to think of God daily. It's an absolutely wonderful app, it's worth downloading. I love this app! Thank you for providing positive, God-centered reminders to be seen throughout the day! Helps us to "keep His Words ever before us." Thanks! Love the app. It's wonderful. But, if there could be like an option to have the lock screens change automatically that would be perfect! There needs to be a search option for certain types of wallpaper. An upload option also. I like it and use it daily to share with friends. 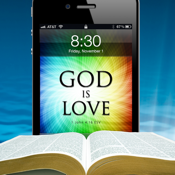 I have been looking for Christian / Bible-Themed iPhone wallpapers for awhile now.. I found a few, but barely anything. I could never find one I liked. Through research, I found this app. First off, this app is well worth the minimal cost! 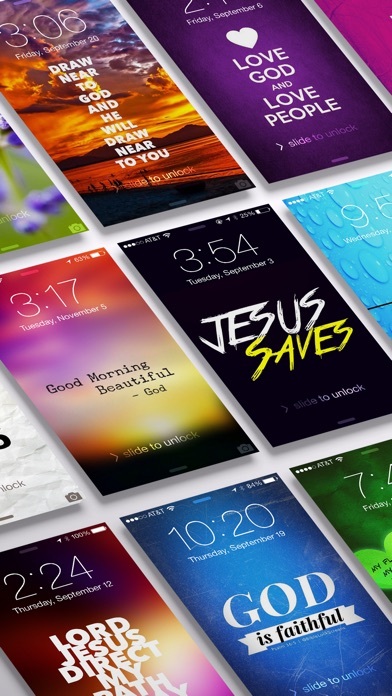 There are TONS of great Christian and Bible-Themed wallpapers! The best thing is, they add more to their database quite often! I found tons in here I really like! There is only Christian wallpapers also, so you do not need to worry about surfing through other pics that could be thrown in! Really like it! There's a lot more summarization/message type backgrounds than there are verse backgrounds. You can find free verse backgrounds online. I was hoping for more verses and just all around better quality. You will probably find some backgrounds that you like. For me, I expected more for an app I had to pay for.